lone wolf terrorism | Anne Speckhard, Ph.D.
Just as Ramadan is ending—a time when ISIS had called for an increase in terror attacks—one has occurred in Chattanooga. Muhammad Youssef Abdulazeez, a naturalized citizen of the U.S., born in Kuwait and also carrying Jordanian citizenship carried out what appears to be an ISIS inspired, active shooter attack at two military recruiting centers on July 16, 2015. 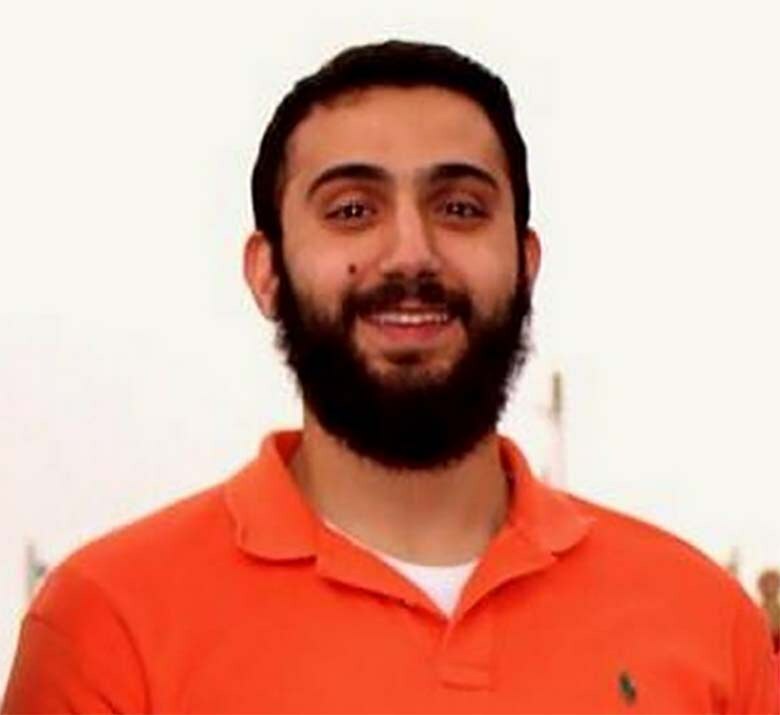 Abdulazeez who had won awards for high grades in high school, was a 2012 electrical engineering graduate from the University of Tennessee-Chattanooga and well liked in his community appeared an unlikely candidate for terrorism. Abdulazeez, however fired from what a witness called a high-powered rifle out of a silver Mustang into a military recruiting center in a Chattanooga strip shopping mall. He then carried on to another military facility operated by the U.S. Navy where he shot and killed four Marines and injured at least two others. The actual weapon was according to law enforcement officers an AK-47 style rifle and Abdulazeez was also carrying thirty-round magazines when he opened fire. The silver Mustang turned out to be rented. An ISIS affiliated account tweeted about the shooting around the same time as the shooting was occurring. The tweet read “O Americans Dogs soon YOU Will see wonders #Cahttanooga #USA #ISIS”. This follows a similar pattern to the tweet sent out moments before the ISIS-inspired attacks on the “Draw Muhammad” event in Garland, Texas last May. The time stamp on the Chattanooga tweet is under dispute, but it looks as though there may have been some foreknowledge of his attack. Abdulazeez was like many recent “stay and act in place” lone wolf attackers a “clean skin”—meaning he was not previously known to law enforcement as a potential violent extremist. He may or may not have been directed by ISIS, and simply self-radicalized online, like many ISIS followers now do. All of the ingredients of the lethal cocktail of terrorism that I identified in my book, Talking to Terrorists, based upon interviews with over four hundred terrorists and their family members and close associates are all present 24/7 nowadays over the Internet—the group, its ideology and social support are all there readily available to hook in a vulnerable person to move him along the terrorist trajectory, while no one suspects a thing. What were Abdulazeez’s possible vulnerabilities to radicalization and resonating to a hateful ideology such as ISIS propagates? Well first off, it appears Abdulazeez grew up under the influence of, and witnessing, violence. According to the Chattanoogan, Abdulazeez’s father, Youssuf Saed Abdulazeez was a violent abuser. Court papers document that he repeatedly beat his wife, Rasmia in front of their five children. Her complaint states that Youssuf, who is a city of Chattanooga public works employee, repeatedly beat her, once so badly that she went to a crisis center. It also claimed sexual assault while the children were present in the home and that Youssuf planned to take a second wife back in their native home of Palestine. Rasmia sued her husband for divorce in February of 2009 but like many victims of domestic abuse, later withdrew her request. The complaint also said that Youssuf beat his children as well “striking and beating them without provocation or justification” and that he was verbally abusive to his wife in front of the children and to them as well. It also documented that Youssuf, like many domestic abusers, controlled all the money and property in the family. The abuse was bad enough that Rasmia’s brothers flew in from Kuwait and Washington, D.C., but they apparently could not stop his abuse, as the complaint documented their visits only made Youssuf more abusive and that he sexually abused Rasmia again after her brother from Washington, D.C. visited. Muhammad Youssef Abdulazeez, twenty-four-years old at the time of the attack would have been eighteen in 2009 when his mother’s request for divorce was withdrawn. So he was a minor during the times written about in the complaint and clearly grew up witnessing what appears to be horrific scenes of family violence. Psychologists know that as young sons grow up powerlessly witnessing the abuse of their mother at the hands of their father an inner rage boils and often it boils over in late adolescence—often when the son stands up to his father and threatens violence if he doesn’t stop. Likely, Abdulazeez was wrestling with shame, humiliation and anger over seeing his mother beaten and humiliated by his father and the children also being included in the abuse—according to the complaint. Perhaps he turned to alcohol or drugs to numb out that pain. Clearly he was showing troubles with mind-altering substances as Abdulazeez was arrested April 21, 2015 in Hamilton, Tennessee for driving under the influence. He was scheduled to appear in court later this month on that charge. That would lead to more shame as Muslims are not supposed to drink, and during Ramadan he would likely be atoning for that and trying to clean up his act. Abdulazeez admitted to the police officer of having being around friends who were drinking and smoking weed and he accounted for crushed white powder under his nose as crushed caffeine pills that he claimed having snorted. He refused blood testing. Abdulazeez was interestingly living back at home at the time of his attacks. On July 18, the Abdualzeez family released a statement saying that Muhammad struggled for years with depression. As with all active shooter attacks, he likely also expected to be killed—and was thus aiming for suicide (by cop) if not “martyrdom” in his action. Abdulazeez was, according to the divorce filing document, of Palestinian origins and it appears his family had gone through what many Palestinians have—moving from place to place and living without a homeland. Nidal Hassan the military psychiatrist who became an active shooter attacking his base in Texas in protest of the wars in Afghanistan and Iraq was also of Palestinian origin. Palestinians often feel affinity with the collective struggle to establish a Palestinian state and we still don’t know if Abdulazeez was exposed to relatives, friends and rhetoric supportive of terrorism—but it would be more likely given his heritage. Abdulazeez would have been in his teens during the Second Intifada and may have, like many of Palestinian origins, believed that suicide terrorism was the only choice for standing up to the might of the Israeli Defense Forces. That would have made him vulnerable to at a later date buying into the al Qaeda and ISIS narrative that Muslims, their land and even Islam itself is under attack. And those feelings might have intensified when the U.S. invaded Iraq and Afghanistan and now when ISIS declared their caliphate while receiving military air strikes from the U.S. and other Western powers. He certainly would have been aware of the recent Israeli poundings in Gaza. His father was also briefly on terrorist watch list for giving charity to a terrorist related organization affiliated with Palestinians in Nablus and the West Bank. His case was subsequently closed. Palestinian groups have for the most part resisted infiltration from al Qaeda and ISIS, but these groups constantly try to gain a foothold among Palestinians and often use their case as an example to further their violent narrative and call for all Muslims to join jihad. Abdulazeez appears sensitive about his Muslim identity and unsure about belonging to his new country. In high school he put the following quote next to his photo in the yearbook: “My name causes national security alerts. What does yours do?” Abdulazeez’s sister, Yasmeen recalls being harassed for taking Muslim holidays off and wearing a headscarf, once being refused the right to take part in a volleyball match by a referee who objected to her headscarf. According to the SITE Intelligence Group, Abdulazeez kept a blog where he posted on July 13th that “life is short and bitter” and that Muslims should not let “the opportunity to submit to Allah … pass you by.” The New York Times notes that Abdualzeez also only recently grew his beard and that he started regular Friday worship at the Islamic Society of Greater Chattanooga only in the last two to three months. Abdulazeez visited Jordan in 2014 and Kuwait and Jordan in 2010, both times when he may have crossed paths with violent extremists and have had the plight of Palestinians, Iraqis, and others brought more into focus and in a way sympathetic to groups like ISIS. Abdulazeez had guns according to a friend and would shoot as a hobby, although friends and neighbors remember him as a “good kid” and not as an angry or threatening persona. One friend claims Abdulazeez changed dramatically after his travels to the Middle East. It is still uncertain how and when Abdulazeez began radicalizing and decided to carry out an attack and if he was inspired by ISIS, but it is looking that way. Chillingly, Abdulazeez is reported to have worked at the Perry Nuclear Power Plant in Ohio for ten days in 2013, as an electrical engineer right outside the reactor. FirstPower said he left because he did not have the minimum requirements to remain employed. With that in mind we may have to be thankful that Abdulazeez didn’t do far more damage than kill four innocent Marines, which in itself is a horrible tragedy. This entry was posted in Active Shooter, ISIS, lone wolf terrorism and tagged chattanooga attacks, ISIS, Muhammad Youssef Abdulazeez on July 18, 2015 by Anne Speckhard, Ph.D.. I was completely fascinated when I first heard about Shannon Conley, a Colorado, white, Christian teen–the quintessential “girl next door” who decided to become an ISIS bride. Converting at age 17 she fell under the influence of Internet jihadi ideologues–Anwar al Awlaki among them. We droned him in 2011, but he lives on via the Internet, inspiring countless acts of terrorism from beyond the grave, including hers. I was intrigued with how Shannon Conley apparently fell in love with her ISIS boyfriend and what compelled her to consider becoming his bride and joining ISIS. I could imagine that a young nurse’s aid who was praised by her ISIS boyfriend could have visions of glory as a medic to the cadres–moving from bedpans to the battlefield. And love makes us all do crazy things and take risks… I was also horrified that she openly admitted to FBI agents that she had studied how to and seriously considered launching a VIP attack right inside the United States–a “stay and act in place” attack that ISIS is now getting well known for. Unable to forget Shannon Conley I first searched for all the material I could find on her case and I attempted to interview Shannon, her family and her lawyer. Unable to gather enough information to write a nonfiction book I couldn’t let it rest so I decided to take what I know about terrorism from the more than four hundred cases of terrorists, their family members and close associates I’ve interviewed around the world and put together a composite story matching and inspired by hers. The result is Bride of ISIS. Bride of ISIS reads like a thriller but is painstakingly end-noted and includes an author’s note that explains to the reader where every detail in the book matches the crazy reality we all live in today. I hope you like it, please remember to give it loads of stars on Amazon! This entry was posted in Female Jihadi, ISIS, lone wolf terrorism, Terrorism and tagged al awlaki, al Qaeda, Bride of ISIS, ISIS, terrorism on July 11, 2015 by Anne Speckhard, Ph.D..
Twenty-nine holiday-makers from Britain as well as tourists from Germany, Belgium, Portugal and Russia made up the thirty-eight people killed in an ISIS inspired terror attack at a popular beach resort in Sousse, Tunisia. 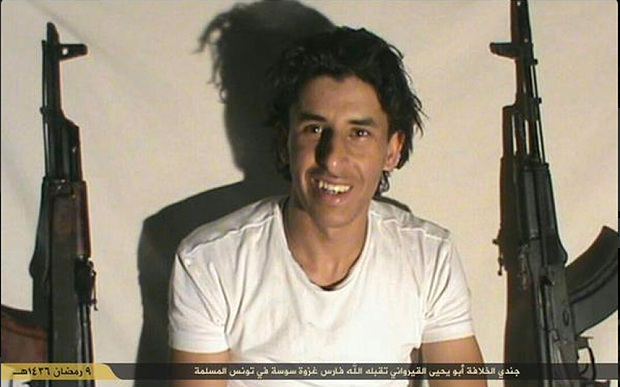 The lone gunman, Tunisian Seifeddine Rezgui, emerged with little warning that he was about to become an assassin in behalf of the so-called Islamic State. Twenty-three year old Rezgui was a master’s degree student in electrical engineering and followed ISIS instructions to either make “hijra,” that is come and join the jihad in Iraq and Syria, or stay at home and bring the battlefield to the so-called “infidels.” Unlike over three thousand of his Tunisian “brothers” who have gone to fight jihad in Syria and Iraq, Rezgui opted for the latter. Rezgui’s apparent “lone wolf” action, is for Britons, the worst act of terrorism since the July 7 bombings in London, when the metro was simultaneously attacked in four different locations in 2005 by homegrown terrorists. Now hailed by ISIS as a “soldier of the caliphate,” Rezgui gave few, but important, signs of his intent. A “clean-skin” terrorist—that is one with no prior criminal record—is often times the most difficult for law enforcement to detect prior to an attack. Rezgui it turns out traveled to Libya for training but was not known by the police to hold extremist views nor did he have a criminal record. His family also expressed shock that he had carried out his attack. Rezgui did however, make his views known on what is believed to be his Facebook page where he had posted in support of ISIS since the beginning of last year. Having apparently radicalized at university, the gunman apparently was seduced into ISIS, as have many other young people by claims of a caliphate and new utopian world order in which perceived personal and global injustices would be addressed. How does ISIS achieve this power of persuasion over others to convince them to carry out violence that often ends in destroying or ending their own lives as well? In the case of Rezgui, his Facebook page gives some hints. For instance his last posting in January of 2015 states, “May God take me out of this unjust world and perish its people and make them suffer. They just remember you when they die. ” Clearly, Rezgui felt he would achieve some kind of immortality by enacting terrorism and address what he apparently believed were global injustices. His actions make clear that he bought on to the ISIS idea that killing and “martyrdom” was the way to achieve that impact. The narrative that Islam, Islamic people and lands are under attack by the West has long been a narrative with al Qaeda and is now being furthered by ISIS. And it’s a narrative that finds footholds with many who radicalize by interacting with slick ISIS marketing materials and after being drawn in by Tweets, blogs, text messages and Skype conversations. The motivations for joining ISIS vary by person and context but the essential elements of the lethal cocktail of terrorism remain the same. There is 1) the group that frames a problem and it’s solution in violent terms; 2) its ideology that wrongly argues that targeting innocent civilians is justified for the cause; 3) some level of social support which these days often comes via the Internet versus face-to-face interactions and lastly 4) the motivations and vulnerabilities of the individuals that link up with the previous three ingredients. In some cases the individual motivations and vulnerabilities are the desire to belong, for adventure, romance, money, status, to escape a dreary life, anger over social injustices such as discrimination or marginalization, secondary traumatization from viewing atrocities in person or by video and photos of conflict zones, a desire for revenge, trauma, social contagion inside a group, and host of other issues that all can interact successfully with exposure to a terrorist group and its virulent ideology. Shannon Conley, an American girl for instance converted to Islam and then searched the Internet to learn how to live her new Islamic life. She, like many, found the online videos of Anwar al-Awlaki, a Yemeni American imam who turned against the U.S. and eloquently preached the requirement (according to him) for all Muslims to constantly engage in jihad either by making hijra or staying at home and acting in place. Al-Awlaki was droned by the Americans in 2011 but manages to live on inspiring beyond his grave, via the Internet. He has been implicated as a terrorist instigator and ideologue in nearly every Western ISIS or al-Qaeda related plot in recent years—including London’s 7-7 attacks, the Canadian Toronto 18, the Christmas underwear bomber and U.S. Major Nidal Hasan’s active shooter attack. Via social media, chat and Skype sessions with ISIS supporters, Conley (whose case inspired my new book Bride of ISIS) progressed into believing the U.S. should be punished for engaging in airstrikes in Iraq. She briefly contemplated carrying out her own “lone wolf” attack—carrying out a VIP attack inside the U.S. She, like many young women that endorse ISIS, was discovered by a Tunisian ISIS fighter who talked with her over Skype and eventually proposed that she make hijra and come to Syria to marry him. Conley intended to do so but was arrested by U.S. authorities as she departed to travel to Syria. It should be noted that Rezgui, Conley and nearly all of those that join ISIS today endorsed ISIS ideology, ideologues or actual ISIS sites on their Facebook or other social media accounts and posted about their new extremist beliefs. This indicates how important identity is to those who begin to take on the ISIS worldview. Rezgui for instance, posted on his Facebook page, “If jihad is a crime, the world shall know that I’m a criminal.” Their new beliefs are so important to them that they feel a need to declare it on social media—a fact that makes it possible to identify at least some of them. Jeff Weyers, a policeman in Canada (and consultant at BRABO) did just that. He tracked English speaking Facebook and Twitter users who endorsed terrorist groups. Gleaning what he could about them, he then used the Inventory of Vulnerable Persons guidance tool to rate how likely they were to becoming violent extremists. Weyers found that 300 of his sample of 3000 entries from around the world fell into the dangerous category. He alerted law enforcement in the various countries involved. When investigations were made, indeed explosives, guns and nefarious plots were discovered and arrests were made. Clearly, nowadays many of those who enter the terrorist trajectory and follow ISIS leave clear tracks on social media and can be tracked either by researchers like Weyers or even by automated computer programs to spit out to law enforcement cases that may warrant further investigation—before a terrorist plot is enacted. Anne Speckhard, Ph.D. is Adjunct Associate Professor of Psychiatry at Georgetown University in the School of Medicine and of Security Studies in the School of Foreign Service. She is author of Talking to Terrorists, Bride of ISIS and coauthor of Undercover Jihadi. She was responsible for designing the psychological and Islamic challenge aspects of the Detainee Rehabilitation Program in Iraq to be applied to 20,000 detainees and 800 juveniles. She also has interviewed over 400 terrorists, their family members and supporters in various parts of the world including Gaza, the West Bank, Chechnya, Iraq, Jordan and many countries in Europe. For a full discussion with cases illustrating this see: Speckhard, A. (2012). Talking to terrorists: Understanding the psycho-social motivations of militant jihadi terrorists, mass hostage takers, suicide bombers and “martyrs”. McLean, VA: Advances Press. For a full discussion of this case see: Speckhard, A. (2015). Bride of ISIS. McLean, VA: Advances Press, LLC. This entry was posted in lone wolf terrorism, Terrorism and tagged Bride of ISIS, isil, ISIS, lone wolf terrorism, Seifeddine Rezgui, Shannon Conley, terrorism, Tunisia on July 3, 2015 by Anne Speckhard, Ph.D..